Ready Access offers drive-thru window solutions for any operation. Industry experts agree that adding a drive thru can boost sales by 25 to 30 percent. Not all drive-thru solutions, however, are created equal: windows that are suitable for one operation may not be ideal for another. 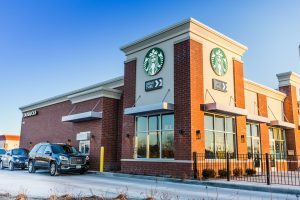 “Even when I talk to restaurant chains with thousands of locations, I always start with what makes a drive-thru window unique,” says Anna Ellis, sales and marketing manager for Ready Access. Drive-thru windows are notably different than their residential counterparts. A window in a typical American home is opened less times in a year than most drive-thru windows are opened in a single day. Plus, pass-thru windows must meet specific compliance standards that can vary from state to state. 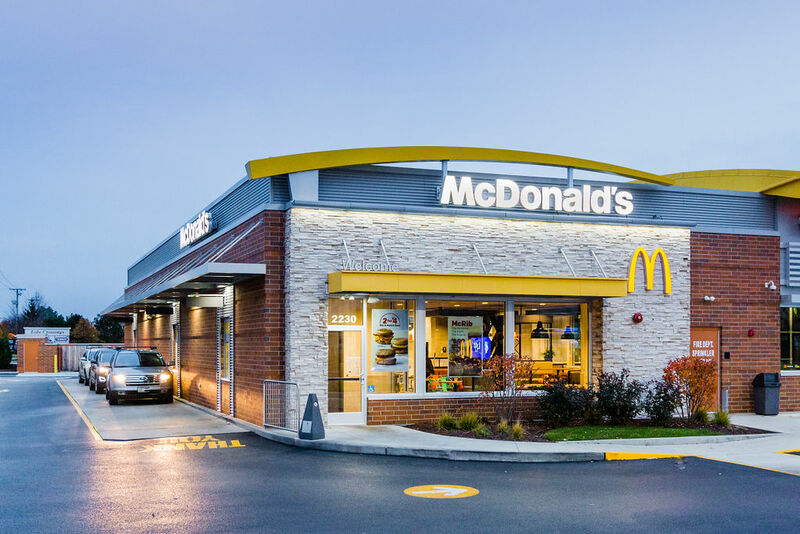 For example, health code regulations require that drive-thru windows self-close, meaning the window will close automatically if the employee steps away from the service area. Not only does this protect the work environment from insects, car fumes, and extreme temperatures, it also serves as a security feature. Ready Access windows automatically latch so they can’t be pushed open from the outside. They also have a thumb-turn lock and night-locking bar for when the window is not in use. 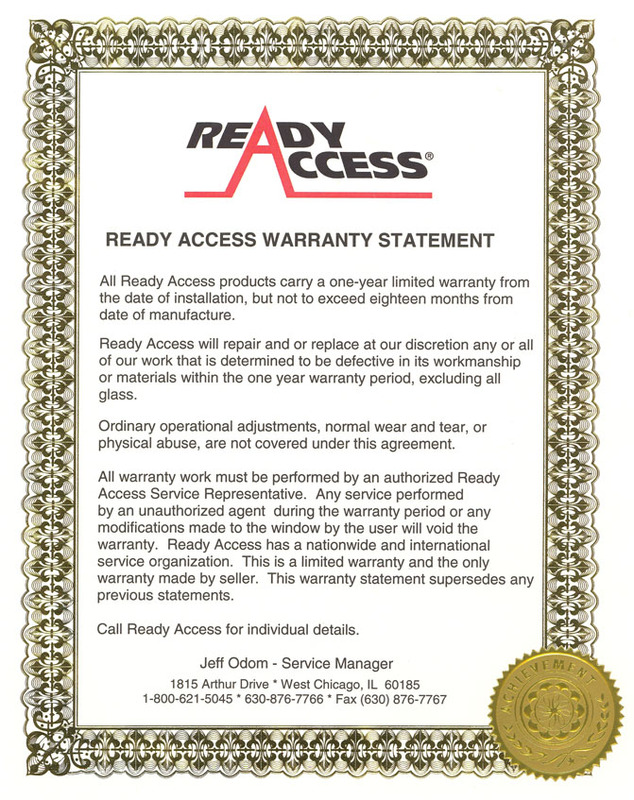 Ready Access windows can be manufactured with three types of self-closing systems. The window can self-close with a gravity feed (no power required), or have a motor that opens and closes the window. The third option is known as manual open/electronic release (MOER), and features a gravity fed self-closing mechanism with a magnetic “hold open” device that allows staff to have both hands free to serve the customer. This system is popular with large, busy chains due to its easy maintenance and hands-free service options. Whether operators choose manual or electric pass-thru windows, they should be very easy to open. Windows also feature track-free bottom sills, which help keep the service area contaminant-free. The operating system is generally concealed in the upper header of the window. Ready Access works with some of the biggest chains in the industry. This means the company has extensive experience with various geographical permitting requirements. For example, coastal areas may require hurricane-rated glazing, and California requires restricted service openings with integrated air curtains in all pass-thru windows. Operations in cold climates may consider heated air curtains, and vice versa, those in hot areas may prefer unheated fly fans. The company can also work with restaurants to incorporate energy efficient solutions and other options like bullet-resistant glazing. With more than 40 years in the business, Ready Access prides itself on being a proven leader in the drive-thru window industry.